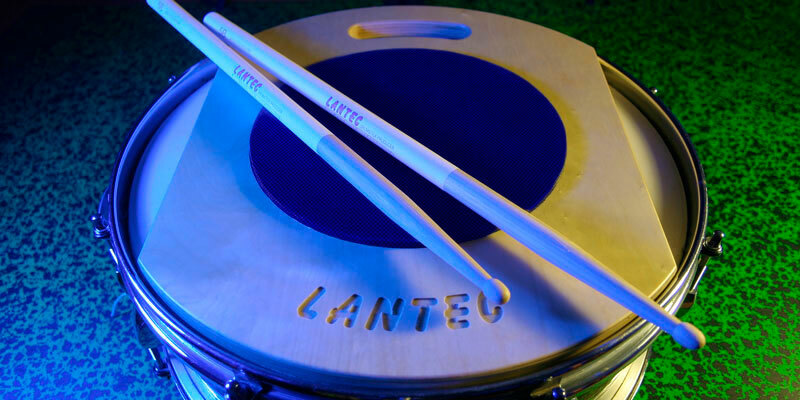 Lantec drumsticks are made of American hickory, completely hand selected. The wood use is kiln dried to the right moisture level and after that it is seasoned in the storehouses to better control its stabilization. Lantec drumsticks are turned on a lathe, then grounded by a sanding machine so they get perfectly cylindrical. Once the drumsticks have been manufactured, they are finished by a double immersion in a silicone based product. This gives greater resistance and durability and a complete protection against moisture. Finally the drumsticks are sorted one by one and at that moment they are ready for the pair matching process: weight and acoustic response are taken in great consideration to offer the best pair of drumsticks that money can buy!.